March 15, 2014 — Here we go again. OTIS Miscellany. For the fifth time. Unlike the previous four incarnations (see links at the end), I’m doing this one in two parts because it got too long on me and includes a ton of photos. It’s content-ious. I’ve mentioned before how bummed I am about being so behind on my OTIS posts. Shoving ten oddities into two posts helps a little, but not much. As with the past four OTIS Miscellany posts, the below sites are of the type, for reasons that are sometimes me and sometimes them, that don’t really merit a dedicated post. But it doesn’t mean they ain’t interesting. This fifth edition of OTIS Miscellany features seven different states and three foreign countries, with my visits to them ranging in time from a month ago to four years ago. Like I said, I’m backlogged. 1. 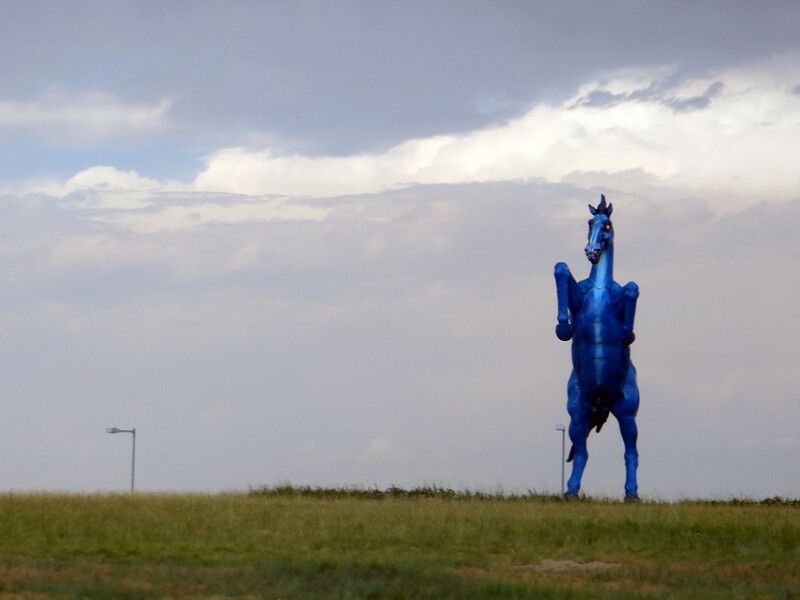 Blue Mustang – Denver, Colorado: All the best art kills its creator, but this 32-foot-tall, 9,000-pound blue demonic horse literally did so. He’s officially named Blue Mustang, but folks just call him Blucifer, because he’s in need of some reins. 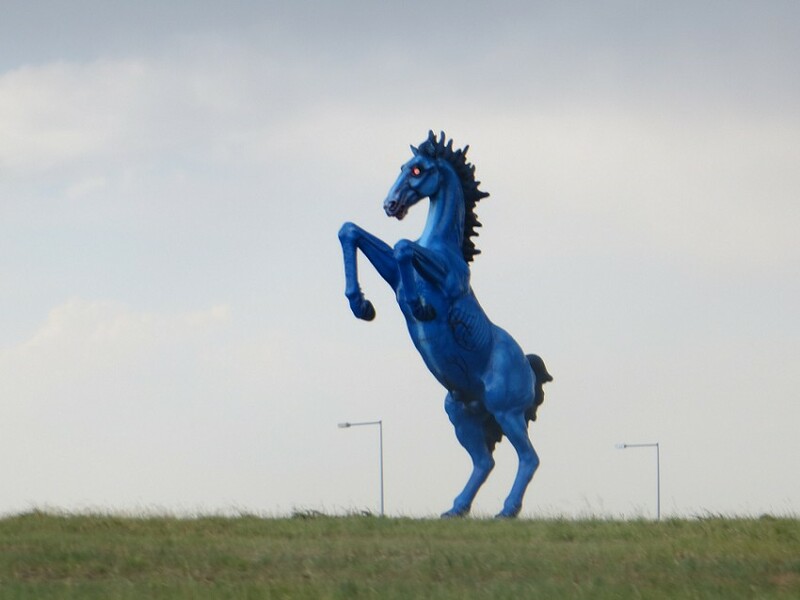 This terrifying red-eyed stallion greets everyone who enters Colorado through the Denver International Airport. That’s why he didn’t get a dedicated post. It’s hard to get to him. He’s in a median area with no real pull off right on the busy thoroughfare of a modern super-security-conscious airport. And we were there to catch a plane, not reconnoiter. He was created by Luis Jiménez and installed in 2008. “Give us a horse statue.” I imagine them saying. “I’ve got your horse statue.” I imagine him slipping out under his breath. Then in 2006, part of the monster fell on him, severing an artery in his leg. You sometimes need a blood sacrifice to awaken a demon. Man, I wish I’d had real time with this guy. And a storm. Photographers love photographing him during storms. He looks best against an apocalypse. 2. The Office of Carl Kolchak – Chicago, Illinois: It’s easy to associate Chicago with deep dish pizza, sports, and—I guess—wind. However, it’s also the home of H.H. Holmes’s Murder Castle, the Ghost and the Darkness lions, and Carl Kolchak, the reporter who chased after the supernatural in the 1970s show Kolchak: The Nightstalker. 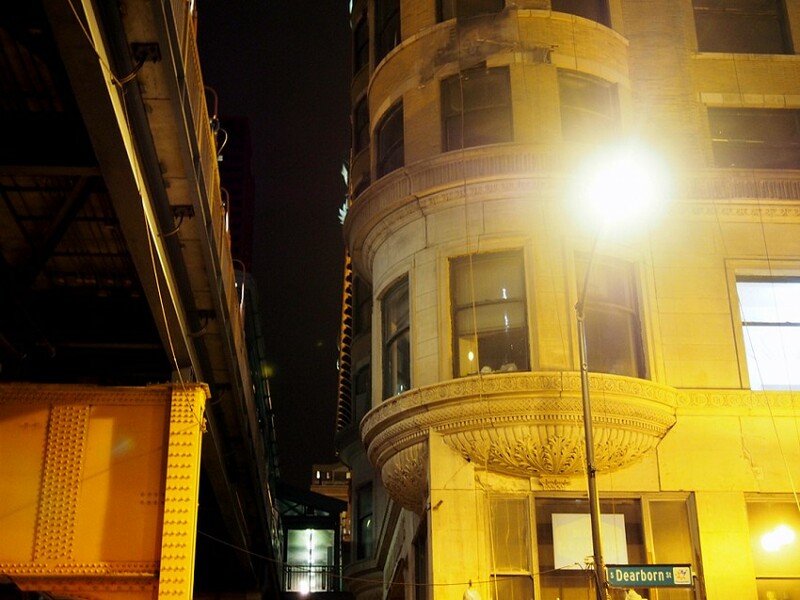 A few weeks ago I found myself in Chicago overnight and unable to sleep. So, whistling the theme song from the show, I trudged down South Dearborn Street in the cold midnight to see if I could find the façade that starred as the International News Service office where he worked. I found it where South Dearborn intersects with West Van Buren at the corner of the Old Colony Building, jammed right against the L.
This show is always in my Netflix Streaming list. My favorite episode was the one where he battled H. H. Holmes and a pair of serial killer lions armed with only a flashbulb and a boater hat. 3. 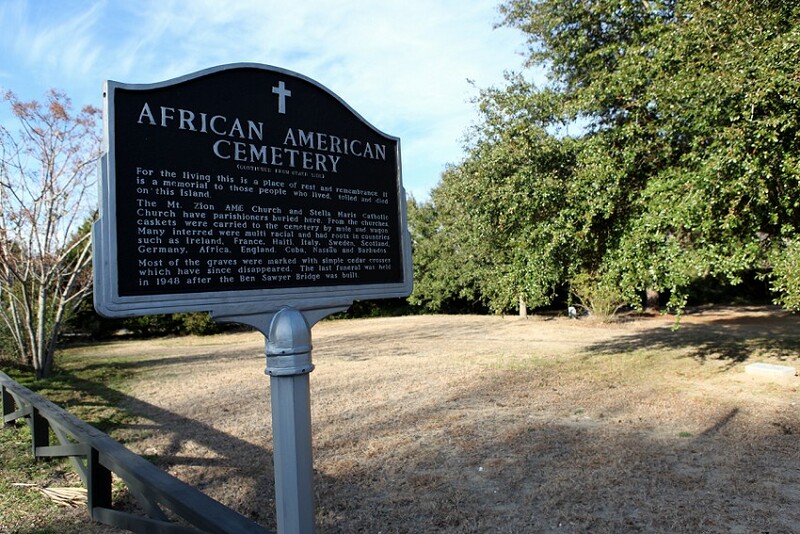 African-American Cemetery – Sullivan’s Island, South Carolina: I was on Sullivan’s Island to find Edgar Allan Poe sites, but I always keep my eyes open for historical markers. Eight times out of ten, they range from mildly interesting to downright uninteresting, but every once in a while you’ll find one touting a reason to slam on your brakes. Driving on Station 22 ½ (that’s how they designate roads on the island), I passed one that had the magic word: “cemetery.” I pulled in past the sign, but didn’t see any cemetery, just a patch of land. After getting out, I eventually spotted three or four stones, all pretty recent. Turns out, this is an old African-American Cemetery dating back as far as the 1870s. 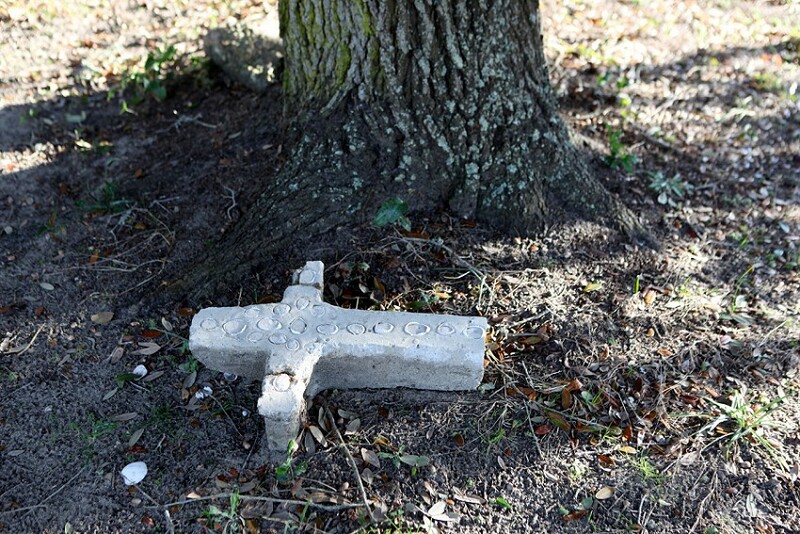 Many of the original graves were marked with simple cedar crosses which have long since disappeared. The cemetery becomes even more poignant with the context that Sullivan’s Island was the entry and quarantine point for 40% of African slaves back in the day. 4. 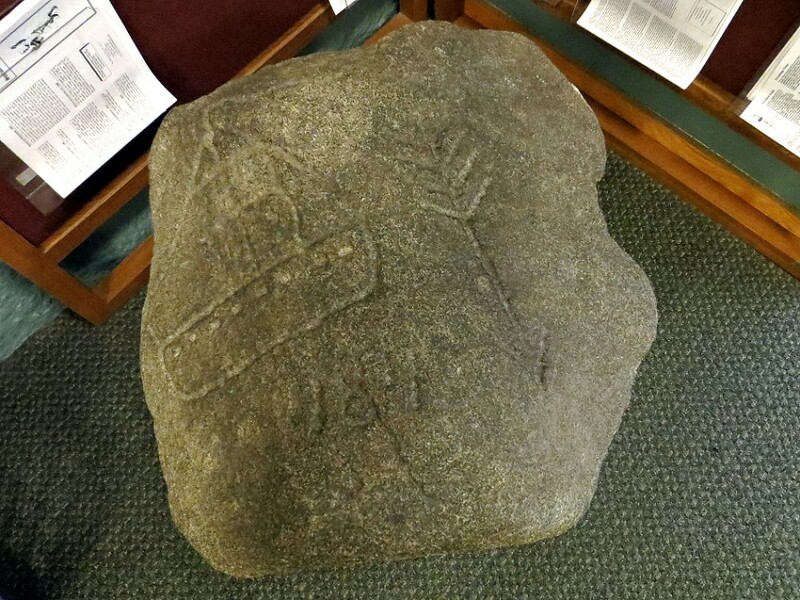 The Boat Stone – Westford, Massachusetts: Westford is supposedly home to the grave of a Knights Templar from Scotland who was exploring America 100 years before Columbus. It’s a highly dubious claim to the point of not being worth bringing up except the town has turned it into a monument. Which makes it well worth bringing up. And even though the judge has thrown out this Exhibit A, there’s also an Exhibit B: The Boat Stone. 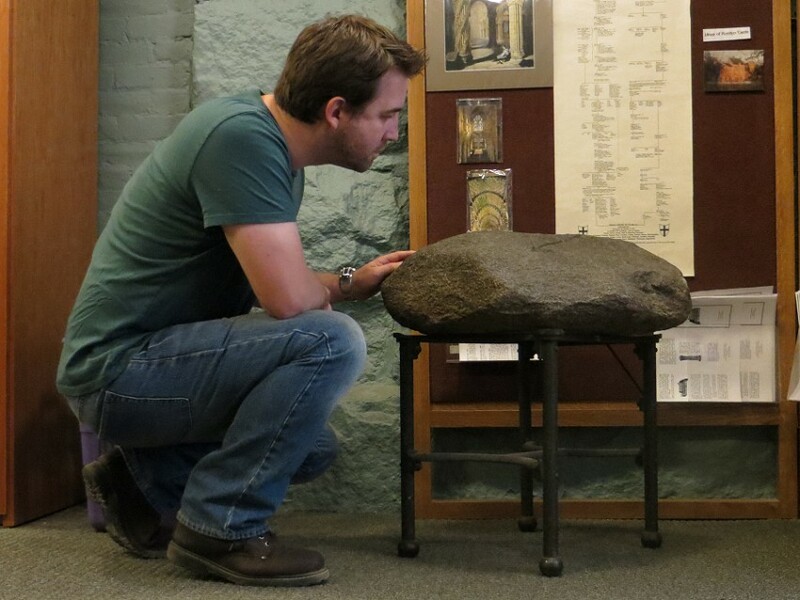 A rock about the size of a small pet carved with images of a boat, an arrow, and a number—ostensibly a way marker for the pre-Columbus explorers. I found this thing half a mile away in the J. V. Fletcher Library. It was outside the bathrooms. At least, unlike the grave of the Westford Knight, the carvings on its surface are exactly that. 5. 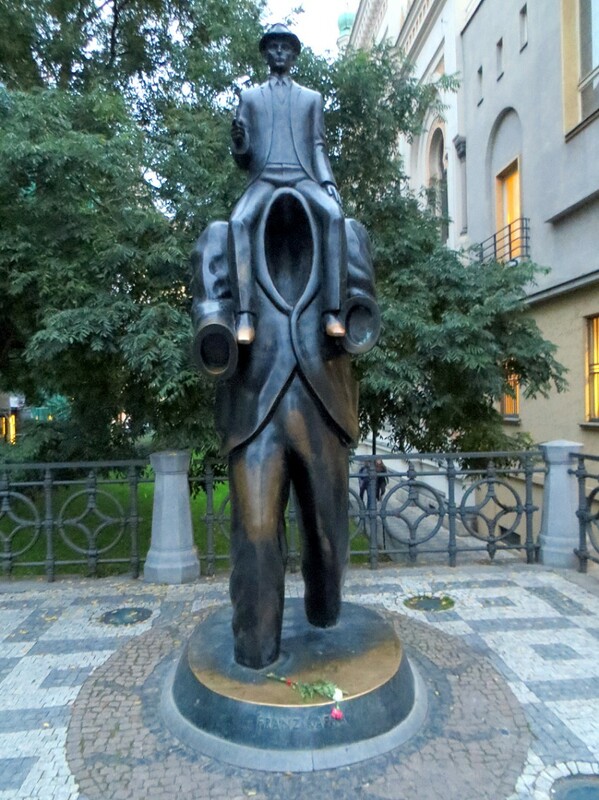 Franz Kafka Statue – Prague, Czech Republic: Obviously a headless statue is going to draw me and my camera arm. We had stopped in Prague on our way back from the Bone Church. We only had a couple of hours and wanted to at least check out the city before heading back to base in Berlin. Almost as soon as we jumped out of our car, we saw this wonder on Dusni Street: an empty suit being ridden by a small man. I didn’t discover until after I snapped the photo of this bronze oddity that it was a tribute to Franz Kafka. The statue was created by Jaroslav Róna and inspired by Kafka’s short story “Description of a Struggle.” Because the people of Prague thought they could handle a headless man way better than a giant insect. Part II features ancient European sites, infamously haunted houses, Robin Williams, and piranhas.